I always greatly enjoy time spent at trade shows, talking about business, e-commerce, and Amazon selling with brand executives. 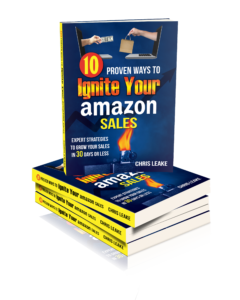 In my conversations with brands, I hear some common misconceptions about selling on Amazon that come up again and again. In this week’s podcast episode I clear up 10 misconceptions I frequently hear. You can use Amazon’s fulfillment even if you don’t wholesale to Amazon as a vendor. You will almost always get better margins and make more money using Amazon’s fulfillment rather than fulfilling your own Amazon orders. Any seller of your products can make changes to your product detail pages (images, title, bullets, etc. ), especially if you haven’t gone through Brand Registry. Brand Registry does NOT keep other sellers from being able to offer your brand’s products for sale on Amazon. You CAN take measures to keep other sellers from selling your brand’s products on Amazon. It should be good news to your brick and mortar buyers that you sell on Amazon, not bad news. There aren’t Amazon “insiders” who can get things done for you that other people can’t get done for you at Amazon. You can’t afford to wait to take control of your Amazon presence and develop a strong, clear strategy for your brand on Amazon. To make money on Amazon, you must get your products to rank high in organic search results, not just throw money at paid advertising. You CAN be doing better on Amazon. Want our opinion on where your brand could improve on Amazon?